Chicago’s RSVP Gallery collaborates again with another streetwear heavyweight — this time with the NIGO-founded brand A Bathing Ape. 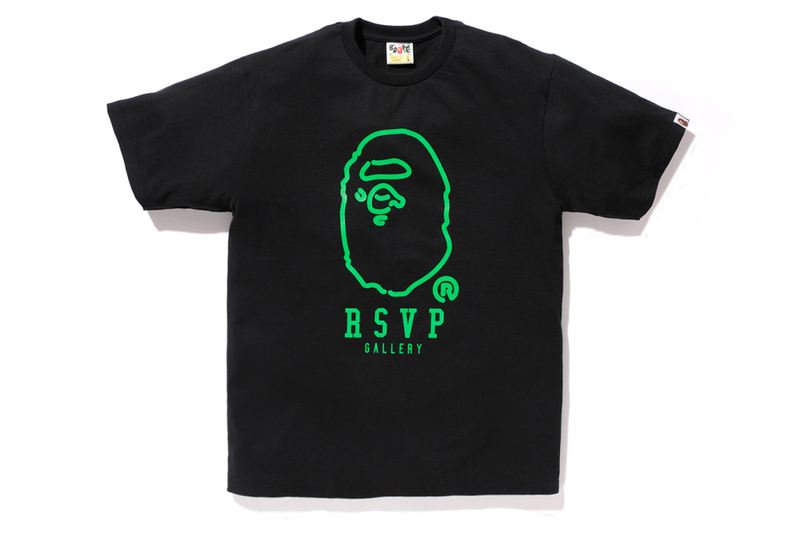 The small capsule consists of three co-branded T-shirts; the BAPE RSVP TEE, which is reminiscent of neon-tubed outline of BAPE’s iconic APE head; the MILO RSVP TEE, which sees Baby Milo and his friends embracing the RSVP logo; and finally, the BAPE STA RSVP TEE, where star embellishments can be seen at both sleeves while the front sports a large RSVP logo and a large BAPE head adorns the back. 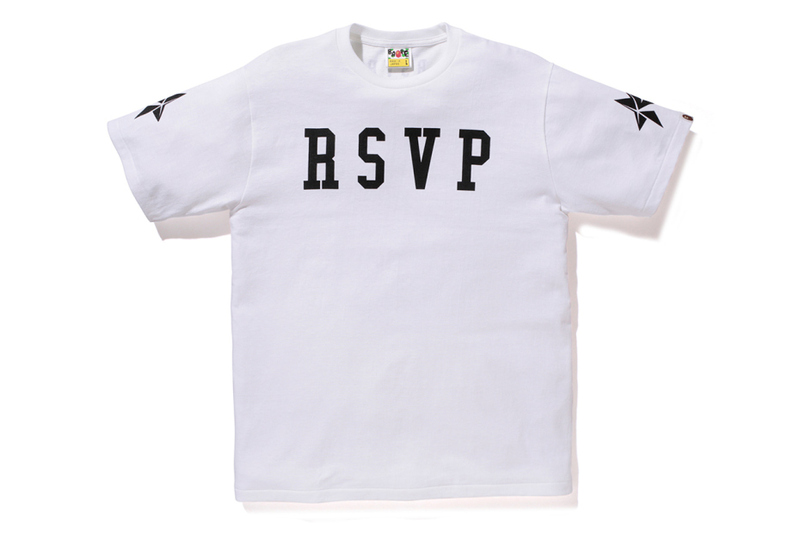 Retailing for ￥7,140 JPY (approximately $72 USD), the RSVP Gallery x A Bathing Ape 2013 capsule collection will see a launch date of July 19, with a BAPESTORE release on the 20th.